They say imitation is the sincerest form of flattery. While we’d never suggest copying someone else’s influencer marketing campaign entirely, you can learn a lot by taking a look at what’s worked for other organizations. Travel Mindset specializes in influencer marketing for tourism brands, but the examples below come from a variety of sources. Why? Sometimes the best ideas come from outside your industry (at least according to the Harvard Business Review). Subaru’s #MeetAnOwner campaign used influencer videos to showcase the new Impreza in various locations, hoping it would attract the attention of millennial buyers. Devin Graham (@devinsupertramp), a YouTube influencer with nearly 5 million subscribers, published a video of him and his friends taking turns on a slip and slide that propelled them (and their parachutes) off a 500-foot cliff. Key takeaway: Influencer content is about emotion, not facts and figures. Despite the importance of selling points like safety features, horsepower and fuel economy, the automobile industry has long embraced the emotional aspect of car buying in TV commercials. Graham’s video shows influencer marketing is a natural evolution of that same premise — at a time when many millennials admit to scrolling social media while ads play on TV. Swisspers, a U.S. Cotton brand, encouraged beauty bloggers and their followers to post “naked” (makeup-free) selfies as part of a cheeky “Sleep Naked” sweepstakes. When the campaign launched, celebrities like Jennifer Lawrence, Drew Barrymore, and Taylor Swift had already posted their own selfies sans makeup. Though the celebrity posts were not affiliated with the campaign, Swisspers’ target audience was already familiar with the underlying concept. Key takeaway: There’s no need to reinvent the wheel! When it makes sense for your product or service, feel free to experiment with influencer content that piggybacks on existing social media trends. Because the influencer is publishing his or her own individual take on a personal channel, the posts should feel timely and authentic as opposed to cheesy or self-serving. A ski resort in British Columbia, Sun Peaks wanted to increase awareness about several of their top winter attractions, including crowd-free ski runs, seasonal festivals, and the region’s jaw-dropping natural beauty. Travel Mindset designed a campaign targeting adventure-seekers in the Pacific Northwest that involved Canada’s top adventure photographer and Instagram influencer, Callum Snape (@CalSnape). Key takeaway: Stunning images, daily Instagram stories, and short Facebook videos drove 200,000+ article views of three minutes or more, creating massive interest in Sun Peaks’ target market. Much of the campaign’s content positioned the resort as an “insider secret” for escaping the crowds associated with competitive destinations like Whistler. Influencer marketing can be a great way for smaller brands to use their size as a competitive advantage. Marriott was one of the first tourism brands to embrace influencer marketing. In one particularly successful campaign, the hotel chain worked with YouTube influencer Jeana Smith (@PrankVsPrank) to celebrate reaching one million check-ins on the Marriott app. The video features a surprise dance party for the mobile user that completed the milestone check-in. The video went viral and currently has nearly four million views. Key takeaway: Have fun with it! When you’re investing in sponsored posts, it can be tempting to try to control every aspect of the finished product and replicate what you’ve done before. But that approach can result in content that lacks the influencer’s signature personality. While you should provide influencers with key messaging, remember they became influential by publishing the sort of content that resonates with their followers. Embrace their creativity. Lagavulin is well-known among whisky aficionados but not as top-of-mind for casual drinkers. That changed almost overnight with a video featuring actor and comedian Nick Offerman. In the video, Offerman, who played “man’s man” Ron Swanson on Parks and Rec, sits in silence for forty-five minutes as he sips a glass of Lagavulin next to a cackling fire. Key takeaway: Though Offerman has a cult following, he’s not a Hollywood A-lister and this isn’t your typical celebrity endorsement. It’s effective because Offerman’s (and Swanson’s) persona is a perfect fit for the brand, and the length is so absurd viewers feel as if they’re on the inside of a private joke. Choose the right influencer and then focus on creating something your audience can’t help but notice. For $35, Bodyworewhat users can access at-home workout videos featuring Danielle Bernstein (@weworewhat) and trainer Eric Johnson. When Bernstein posted about getting in shape with Bodyworewhat, an extension of her own brand, her photos also included FIJI water bottles. In dedicated posts, she promoted FIJI by reminding followers about the importance of staying hydrated with a discount code for home delivery. Key takeaway: Savvy macro-influencers will continue seeking out new ways to monetize their following, so savvy brands should look for unique opportunities to work toward a common goal. Because Bernstein was also promoting her own product, her posts about FIJI water felt less like forced product placements and more like a reflection of what she was working on at the time. Microsoft’s ongoing “Make What’s Next” campaign encourages young girls to pursue careers in STEM (science, technology, engineering, and mathematics). On International Women’s Day, Microsoft teamed up with National Geographic to feature 30 images by well-known wildlife photographers on National Geographic’s five Instagram accounts. The photos depicted female scientists and outdoor adventurers and generated more than 3.5 million likes in one day. Key takeaway: Microsoft used influencer marketing to increase awareness about a prominent issue, casting both Microsoft and National Geographic in a positive light and driving a positive sentiment for both brands. Consider campaign objectives that go beyond conversions as well as working with other influential organizations that stand to gain as much you do. Moxy Hotels launched its own YouTube channel (@MoxyHotels) with the help of YouTube star Taryn Southern (@TarynSouthern). Together they created Do Not Disturb, a video series featuring Southern interviewing other influencers inside a shipping container designed to look like a Moxy hotel room. The series was so well-received Moxy invested in a second “season” the following year. Key takeaway: While Southern fits the target demographic of the Moxy Hotel brand, the length and scale of this sponsorship is relatively unusual. Millennials have shown us time and again they don’t mind sponsored content as long as it’s good. If you’ve got a perfect influencer in mind and you agree on a format that won’t go stale, a long-term relationship could be the way to go. Chrissy Teigen (@chrissyteigen), a professional model married to John Legend, has cultivated a huge social following by showing off her irreverent personality on Instagram and Twitter. BECCA Cosmetics collaborated with the social media star to create a brand new makeup palette, which Teigen announced in an Instagram video that generated just under 5 million views. Key takeaway: Influencers do a great job of promoting existing products, but think about asking them to help you create something new. After all, they’re often a member of your target audience themselves — and they may be feel more invested in a product they helped create. For tourism brands, this could mean a weekend package that includes a hotel stay, tickets to a local attraction, and a gift card to the influencer’s favorite restaurant. Ecommerce mattress company Casper worked with several canine influencers to promote a new product for their customers’ four-legged friends. 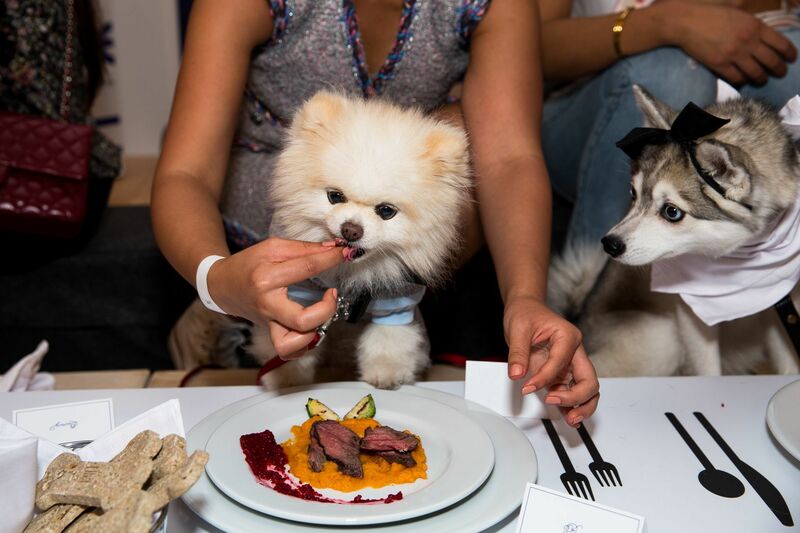 Twenty influencers — with a combined following of more than 3.5 million dog lovers — were invited to attend a launch party in Manhattan, complete with a green carpet, “pupperazi,” a steak dinner, and hot dog infused water. The Dodo, an online outlet “for animal people,” live-streamed the party on Facebook. Key takeaway: Private events are an affordable way to engage several influencers at one time, while showing appreciation for each individual and avoiding a pseudo-“press trip,” which can stifle creativity and result in endorsements that lack personality. Travel Mindset planned a similar “Insta-Meet” for Visit St. George that enabled the DMO to capture 500+ email addresses for email marketing. Last day to enter to win an assortment of Tom's of Maine Long Lasting Deodorant!! Link is in bio!!!! Tom’s of Maine makes toiletries using only natural ingredients. The company wanted to increase brand awareness among health-conscious buyers by encouraging people to try their products and talk about them on social media. Tom’s focused on micro-influencers, who then encouraged their followers to publish their own posts. This strategy created a snowball effect that reached 4.4 million potential customers in the first three months of the campaign. Key takeaway: It’s easy to think more followers equals better reach, but that’s not always true. Have you ever heard “the whole is greater than the sum of its parts?” In many cases, a group of micro-influencers is more affordable and more effective than a single “macro” endorsement. This is especially true for purchasing decisions like choosing a vacation destination, which can require multiple impressions prior to a conversion. Google worked with the two DIY-focused micro-influencers behind the @thesorrygirls to promote the tech giant’s new Pixelbook laptop. The Sorry Girls ran an Instagram giveaway contest with just one sponsored post, instructing users to like the image and leave a comment stating how they use the Pixelbook as a winner. Key takeaway: Though their Instagram account has less than 100,000 followers, the Girls’ giveaway post earned an impressive engagement rate of 59.4%. Meanwhile posts by Kim Kardashian — who has 107 million followers — typically yield less engagement than a banner ad. Working with micro-influencers often means higher engagement rates, and Google’s choice proves micro-influencers aren’t just for brands with smaller budgets. An Amazon company, Audible sells monthly memberships for audiobooks and podcasts, and the company’s marketing team frequently partners with celebrities and influencers of all sizes, including micro-influencers. In the caption of one memorable Instagram post, photographer Jesse Driftwood (@jessedriftwood) talked about how he uses Audible to learn more about business management and productivity. While unveiling the company’s “UnGrounded” innovation lab, British Airways flew 100 technology experts with varying degrees of influence from Silicon Valley to London. During the flight, the group of “influencers” brainstormed concepts for a new platform that would enable technologists like themselves to address social issues from all over the world. The flight illustrated how great ideas come to life when people can meet face to face. Key takeaway: British Airways was able to demonstrate the business value of aviation while rolling out a campaign destined to attract media attention. In addition to the micro-influencers’ individual posts, UnGrounded’s first flight was covered by Forbes, TechCrunch, and Wired. The combination of the influencers’ reach and additional media coverage allowed the airline to zero in on a small segment of tech industry business travelers. Bedrock Real Estate wanted to encourage real estate purchases in the Detroit metro area, so they set out inspire a sense of pride among the city’s population. The result is “Anthem of Us,” an award-winning video highlighting Detroit’s vibrant culture, amenities, and — most of all — its people. Big Sean, a celebrity rapper born in Detroit, starts the video off with an unscripted, emotional voiceover about his native city. Key takeaway: Though Big Sean voices the opening, the video would not be as share-worthy without compelling clips of local citizens and businesses, most of whom promoted the video to their own followers. Big Sean’s following is made up of people all over the world, so those micro-influencer posts are a huge reason the campaign was successful on a regional level. When you’re targeting a small geographic area, local personalities are often more worthwhile partners than international stars. Watchmaker Daniel Wellington is known for collaborations with fashion and travel influencers, but the brand also frequently works with CanadianBros (@CanadianBros), an Instagram account for two dogs named Jasper and Louie. Though dog lovers isn’t an obvious audience for a watch company, the fact that the account has featured Daniel Wellington on more than one occasion indicates it’s working. In one post, Louie gazes up at his owner who just happens to be wearing a Daniel Wellington watch. Like many of the account’s other posts, the caption is from the pup’s point of view. Key takeaway: Daniel Wellington was able to reach a new audience by working with a surprising partner and embracing the influencer’s playful caption technique. Still, the company chose to work with an account with a more serious aesthetic than that of most other pet influencers. You may have to step out of your comfort zone to reach a new niche, but look for partners that fit your brand image. Another iconic hotel brand, St. Regis Hotels & Resorts is best known for catering to the luxury traveler. St. Regis wanted to expand its typical demographic by showcasing the Monarch Beach resort as a family-friendly destination. After visiting the location with her family over Father’s Day Weekend, blogger and social media influencer Naomi Davis (@taza) published a blog and video describing her experience. Key takeaway: Most parents wouldn’t think of St. Regis when planning a family vacation, but by partnering with a popular “mommy blogger,” the brand was able to shirk a stuffy brand image and show off amenities that would appeal to kids. Partnerships like these are a great way to start to target secondary audiences without changing the direction of your entire marketing program and potentially isolating existing customers. 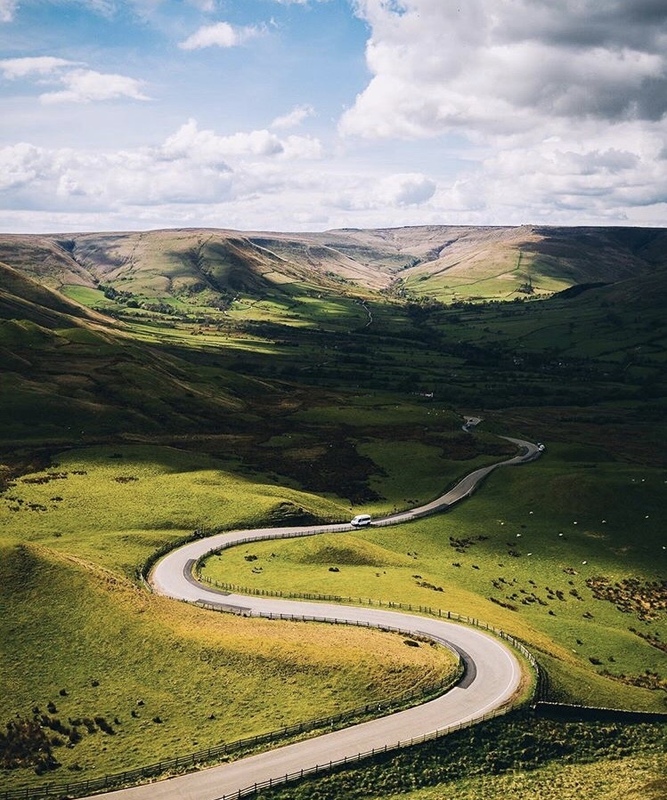 Virgin was launching three nonstop flights from US cities to Manchester and wanted to drive travel intent by showcasing the rolling landscapes and historic charm of Northern England. Travel Mindset designed an influencer marketing campaign incorporating branded content on our consumer travel site and award-winning sister publication iExplore. The campaign also included 360-degree videos, enabling fans to experience the trip through each influencer’s eyes. Key takeaway: Most airlines offer more or less the same service and amenities, so influencer marketing often needs to be about more than branding. By focusing on the destination, Virgin was able to attract the help of two non-competitive organizations, Marketing Manchester and Visit Britain, which resulted in more compelling content for the campaign. “Partners” doesn’t just refer to influencers. Who can help you tell your story? Buick wanted to appeal to a new, younger demographic. The company asked 10 design, fashion, and food bloggers to create Pinterest boards illustrating how the Encore could help them express their personal style; each blogger also published posts about the experience and promoted their boards on Facebook, Twitter, and Instagram. The “Pinboard to Dashboard” campaign drove more than 17 million unique site visitors. Key takeaway: Buick found a unique way of prioritizing messaging that’s important to this particular audience — stylish design — and had influencers with no obvious tie to the automobile industry help spread the word using an equally surprising channel. In one study, a whopping 93% of respondents said they use Pinterest to research purchases. Instagram is a popular platform for discovery, but don’t overlook the potential of the Pin. SodaStream manufactures an at-home carbonation tool for consumers, which, until recently, was marketed almost exclusively to families. After sales data showed the product actually resonates more with Millennials without kids, the company launched the “Join a Revolution” influencer campaign, featuring a spoof on a scene from Game of Thrones and “The Mountain,” a character from the show played by actor Hafþór Júlíus Björnsson. Key takeaway: The GoT video went viral, amassing more than 50 million views and 100,000 shares. SodaStream could have continued focusing on families by partnering with mommy bloggers, but the company bet on an influential actor and subject matter that would appeal to their new audience. And it paid off. Use data to validate your assumptions, uncover new opportunities, and help guide your influencer marketing strategy. The secret to successful influencer marketing campaigns is making data work for you. Click here to read Travel Mindset’s free guide on measuring influencer marketing ROI.